Your opinion counts. 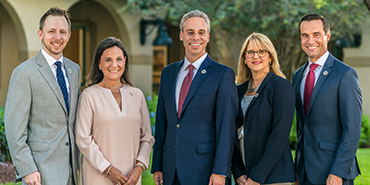 Please read the following letter and let the Boca Raton City Council know how you feel by contacting them or speaking at the April 23, 2019 meeting. 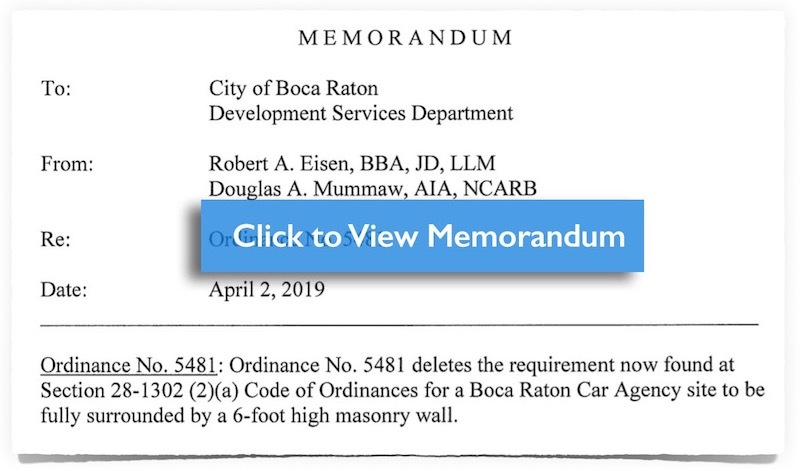 For background, see the BocaFirst article alerting readers to a proposed change in the requirements for car dealership properties in Boca Raton. The proposed Ordinance 5481 was to eliminate the requirement for a six-foot wall surrounding dealership buildings. The City Council reviewed the proposed ordinance on March 26 and decided to postpone a vote until April 23 to get some questions answered and better understand resident sentiment. The following letter from the business leaders involved considers the points from the BocaFirst article and is asking City Staff to change the proposed ordinance to specify that car dealerships over four acres in size must have the surrounding 6 foot wall but those under that size do not. The rational is that cars in the smaller sized dealers must be kept indoors which makes the wall redundant. 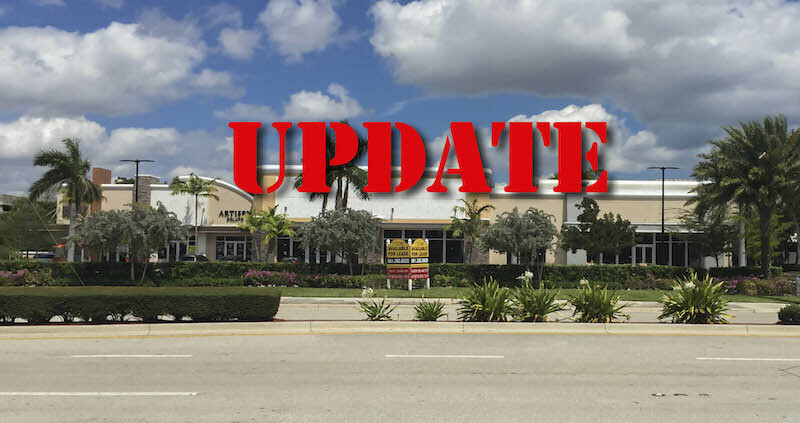 The lot size was chosen because the opportunity motivating the ordinance change is a proposed car dealership in Boca Raton with a lot size of 3.65 acres. See the Memorandum below for details. Jim Wood is a computer engineer who holds undergraduate degrees in mathematics and management, a master’s degree in computer engineering and an MBA. He is also a veteran who served four years on active duty with the United States Air Force. His interests include cycling, guitar, and cooking. 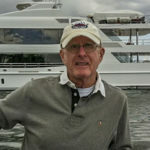 He moved to Boca with his family in 1992 and is a member of the Boca Raton Bicycle Club and the FAU Alumni Association.